CONCORDIA MILITVM, XXI in Exergue, B in field. Diocletian receiving Victory on globe from Jupiter. 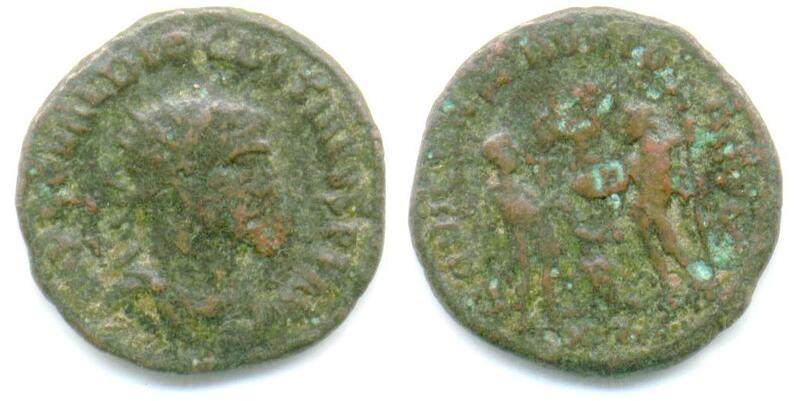 Minted at officina B in Antioch (Antakya, Turkey) between 293 and 295 A.D.
Van Meter, D., "Handbook of Roman Imperial Coins", p276, nr. 21.